There are no BOYS CROSS COUNTRY (V) games from 19 Fri, April 2019. WELCOME TO CHARGER NATION CROSS COUNTRY! 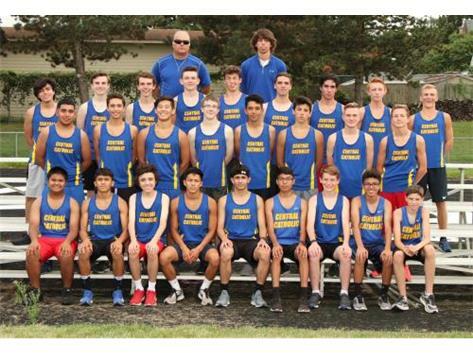 DID YOU KNOW THAT ACC BOYS CROSS COUNTRY HAS A PROUD TRADITION OF SENDING A TOTAL OF 12 TEAMS TO THE IHSA STATE FINALS, AND ALSO HAS SENT 7 INDIVIDUAL STATE QUALIFIERS TO THE STATE FINALS! DID YOU KNOW THAT ACC HAS CAPTURED 2 SECTIONAL TEAM CHAMPIONSHIPS, 12 REGIONAL TITLES, AND 6 CONFERENCE TITLES IN THE PROGRAM'S STORIED HISTORY! DID YOU KNOW THAT THIS SEASON'S CHARGER CLASSIC WILL PLAY HOST TO 37 SCHOOLS AT THE UPCOMING CHARGER CLASSIC!